The MCAS Nancy Vaughan Scholarship Award is available to Cuesta College students that meet the criteria listed below. Please pass this on to anyone you know who might be interested, as the application deadline is approaching. A minimum 2.50 cumulative grade point average. Student must currently be enrolled in a minimum of 6 units at Cuesta College. Applicant must be interested in and pursuing a career involving some aspect of caring for our natural environment, such as biology, wildlife conservation, ecology, animal care, water and air quality, or any other related field. One letter of recommendation is required. Letters from instructors, counselors, employers, and community members are preferred. 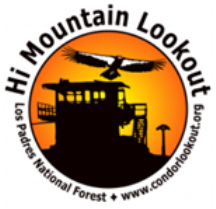 Candidate must be awarded the scholarship money at the Morro Coast Audubon Christmas Bird Count dinner on December 17, 2016 (held at the Botanical Gardens in San Luis Obispo). Selections will be based on student’s overall academic progress, financial need, extracurricular activities, leadership skills, and participation in community activities. Students will be notified by e-mail or phone of any scholarship award or denial. Scholarship may be renewed, contingent upon satisfactory academic progress and availability of funds. Students must re-apply for a continuation of the scholarship. Please attach a separate sheet describing how the scholarship benefited you and why it should be renewed. Applicants will be notified of scholarship award or denial by December 9, 2016.